Farzad Minoo Damania – Career Counsellor & Trainer at Career Nurturer provides an insight into the new degree option of Bachelor in Vocation (B.Voc.) in his latest article published in Parsi Times Newspaper on 8th November 2014. 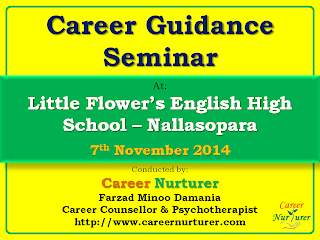 Career Nurturer offers career counselling and aptitude testing services across Mumbai, Thane and Navi Mumbai areas. Career Nurturer is Mumbai’s 1st Career Counselling services offering aptitude tests and career guidance sessions at convenience of your home. So if you are confused about what stream, course or specialization to select after 10th / 12th / Graduation, you may reach out us. Article Title: Bachelor of Vocation (B.Voc. ): New kid on the block! 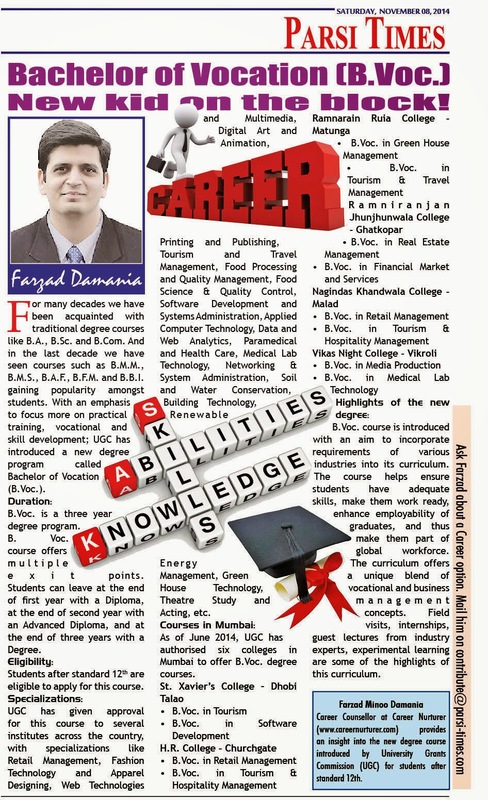 Farzad Minoo Damania - Career Counsellor at Career Nurturer (www.careernurturer.com) provides an insight into the new degree course introduced by University Grants Commission (UGC) for students after standard 12th. For many decades we have been acquainted with traditional degree courses like B.A., B.Sc. and B.Com. And in the last decade we have seen courses such as B.M.M., B.M.S., B.A.F., B.F.M. and B.B.I. gaining popularity amongst students. With an emphasis to focus more on practical training, vocational and skill development; UGC has introduced a new degree program called Bachelor of Vocation (B.Voc.). B.Voc. is a three year degree program. B. Voc. course offers multiple exit points. Students can leave at the end of first year with a Diploma, at the end of second year with an Advanced Diploma, and at the end of three years with a Degree. UGC has given approval for this course to several institutes across the country, with specializations like Retail Management, Fashion Technology and Apparel Designing, Web Technologies and Multimedia, Digital Art and Animation, Printing and Publishing, Tourism and Travel Management, Food Processing and Quality Management, Food Science & Quality Control, Software Development and Systems Administration, Applied Computer Technology, Data and Web Analytics, Paramedical and Health Care, Medical Lab Technology, Networking & System Administration, Soil and Water Conservation, Building Technology, Renewable Energy Management, Green House Technology, Theatre Study and Acting, etc. As of June 2014, UGC has authorised six colleges in Mumbai to offer B.Voc. degree courses. B.Voc. course is introduced with an aim to incorporate requirements of various industries into its curriculum. The course helps ensure students have adequate skills, make them work ready, enhance employability of graduates, and thus make them part of global workforce. 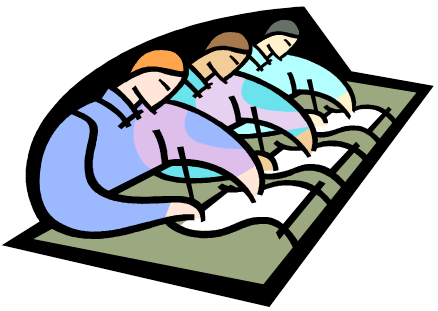 The curriculum offers a unique blend of vocational and business management concepts. Field visits, internships, guest lectures from industry experts, experimental learning are some of the highlights of this curriculum. 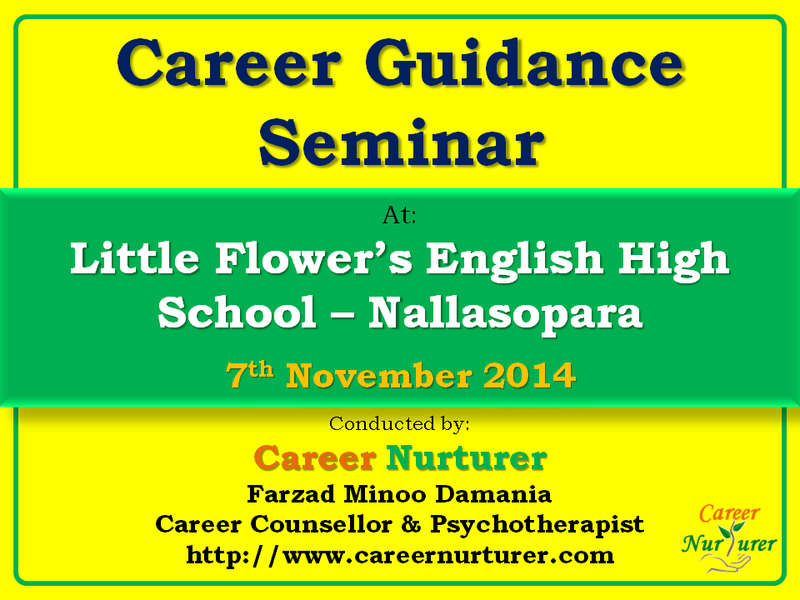 Students of Class 10th at Little Flower’s English High School had the opportunity to participate in a career counselling and guidance seminar on 7th November 2014. Farzad Minoo Damania – Career Counsellor and Trainer at Career Nurturer guided students on importance of career planning after 10th; and also provided an insight into all the careers that exist in science, commerce and arts streams. The seminar was attended by students of grade 10th and their parents. It was an interactive seminar with power point presentations, career videos, question and answer sessions. Students and parents were informed about various traditional and offbeat careers that students can pursue. The Principal at Little Flower’s English High School thanked our career counsellor Mr. Farzad Damania on sharing valuable information on career guidance for the students. Science?.... Commerce? .... or Arts? Career Nurturer can assist you in evaluating your aptitude, abilities, interests, personality, intelligence and motivation to understand what career and stream to select after class 10th and class 12th. Reach out to our career counsellor Mr. Farzad Damania on farzad.damania@gmail.com or call on 9833971773 and register today for detailed and comprehensive Aptitude and Psychometric assessment tests, and Career Counselling session. Maharashtra State Board has announced the exam time table for SSC for March 2015.